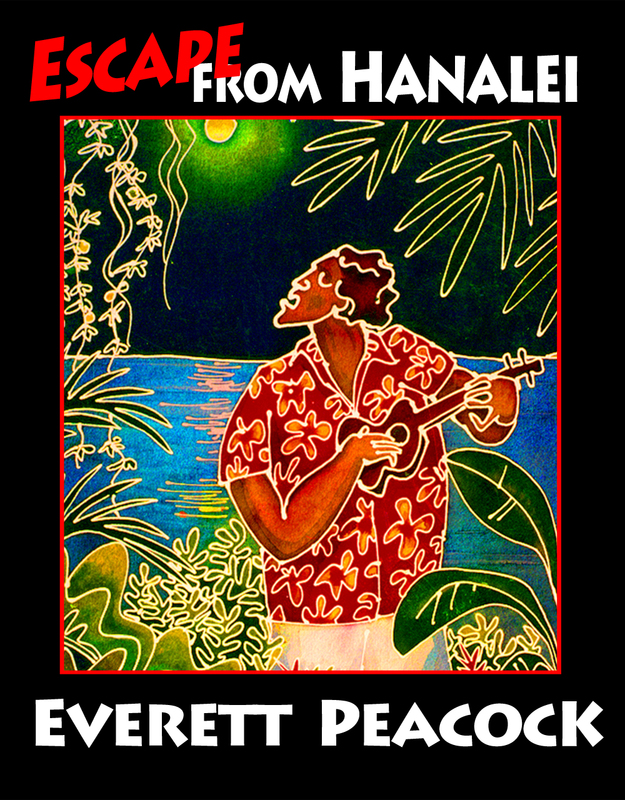 everett.peacock.com: FAQs to "Escape from Hanalei"
FAQs to "Escape from Hanalei"
- How do you fit so many interesting characters in your book? ce the island that Hanalei is on? - Is this book fiction, non-fiction or a hybrid? = I have a hybrid car, so I understand the question, but I can't answer that without giving away anything. - I know the book is going to be great, but the COVER ART ALREADY IS. Who is the Artist? - Have you really been to Hanalei, or did you just astral project yourself there from Maui? = I had to buy a plane ticket. Both directions. Every time I try astral projection I end up in the audience at Jay Leno, with no idea why I'm wearing a chicken outfit. - Is there a cute dog in the story? I have 14,598 YouTube videos bookmarked that feature cute dogs. = Well then, you will be pleased. There is indeed an impossibly brilliant dog who is so cute you will shun YouTube forever and obsess over "Escape from Hanalei". Seriously, this dog will always be with you, forever, after you read this story. - Is this one of those stories where someone dies by chainsaw, gunshot or drug overdose? = No humans, animals or plants were harmed in the making of this story. Your six year old can read it. Your six year old can read, right? - Your other stories, all great by the way, feature interesting hippie characters. What is a hippie? = Great books answering that have been written by minds far more brilliant than mine. I will say this: we are all hippies, some of us just can't suppress it as well.